makes it easier for students to learn, and gives excellent results. Learn how to improve your skiing and snowboarding skills in a one-on-one setting — or with a group of up to 6 of your friends and family. You can take at least 1 hour lessons or a half or full day. 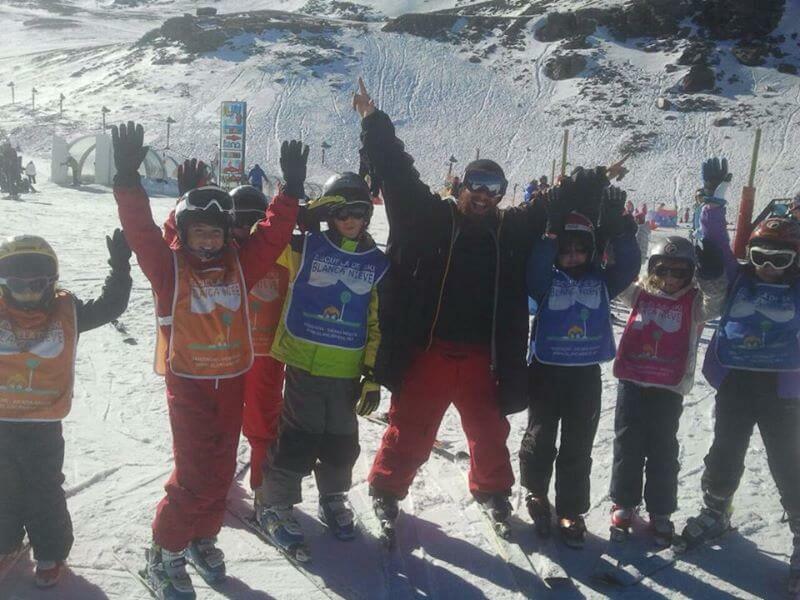 Learning while playing Our philosophy “learning while playing” makes Ski and Snowboard School Blanca Nieve, the best option for the children. Our staff consist of children specialized instructors and assistants who are specially qualified to work with children. They will enjoy a day in the snow, learning with funny teaching methods on a safety setting. If children are safe, parents are quiet. Enjoy a great experience on snow with us! 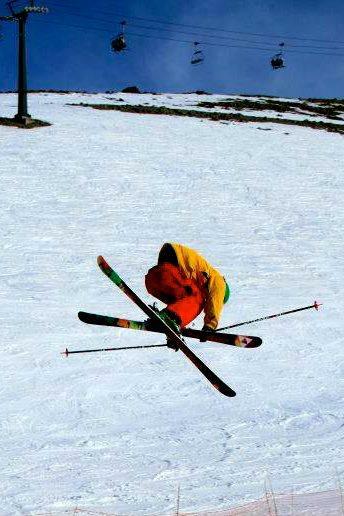 Skiing is a funny and familiar sport, it’s passed from parents to children and gets more followers every day. First steps on children skiing have to be done with a specialized professional at a protected area. Our professors are the best option, because they are highly qualified on these technics. When it comes to teaching children, they can never be forced into doing something. It has to be a game, not a duty. We receive the children and get them equipped (including skis, helmet, boots, etc) Private lessons Intended for those who prefer a more personalized lesson. Teaching skiing or snowboarding with fewer students makes easier student learning and gives excellent results. Learn how to improve your skiing and snowboarding skills in a one-on-one setting — or with a group of up to 6 of your friends and family. You can take at least 1 hour lessons and also half or full day. 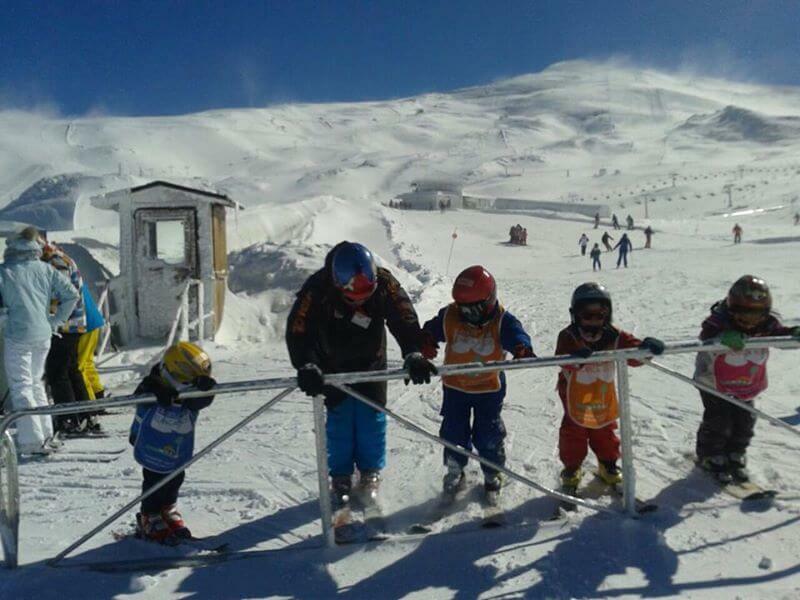 Adapted children ski is an activity focused to handicapped children. Besides integration benefits, they will enjoy skiing in company with high trained professors, getting the most from the activities and nature of Sierra Nevada. Adapted ski lessons are prepared for: Blind people Psychic, cognitive and development handicapped Amputee people Tetraplegic Paraplegic These classes are always particular ones, apart from some disabilities that can be done in 4 people. These lessons must be booked 1 week in advance, asking for a budget to prepare appropriate equipment. We offer special assistance, level tests. Children will get a Level Certificate at the end of the course. Come and enjoy the new Super Sulayr Park of Sierra Nevada and the new Half Pipe with our specialized teachers.